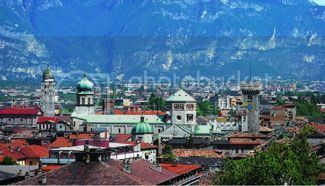 The 29th European Regional ITS Conference will be held in Trento, Italy, August 1-4, 2018. It will be hosted by the University of Trento. The theme of the Trento Conference is Towards a Digital Future: Turning Technology into Markets. Authors are reminded that the deadline for submitting paper abstracts and proposals for panel sessions is March 30, 2018. All Conference-related inquiries should be directed to ITS Vice Chair, Professor Jason Whalley at jason.whalley@northumbria.ac.uk. 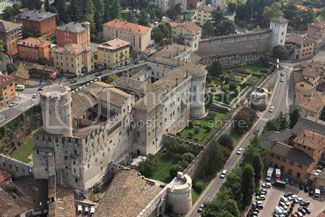 We look forward to seeing you in Trento this summer. ITS last visited Seoul in 2002 for the 14th ITS Biennial Conference. Much has changed since then. 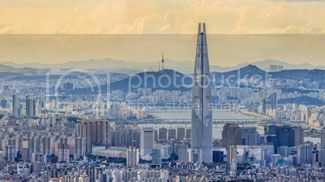 According to a 2015 report of the International Telecommunication Union (ITU), South Korea is now the most connected country in the world. Home to Samsung and LG, two of the world’s largest and most successful high-tech companies, South Korea boasts the highest average internet connection speed in the world and the 4th highest penetration rate for smartphones. Online registration for the Conference is available at https://itsseoul2018.org/registration/. Individuals planning to attend the 2018 ITS Biennial are reminded that the deadline for early bird registration is April 20. 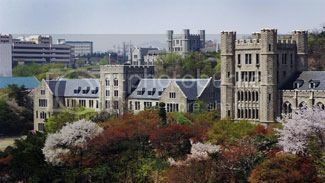 The Conference website also provides detailed information on numerous hotels within a 10 to 30-minute bus or subway ride of the main conference venue at Korea University. Like other metropolises, it is a city that never sleeps, as visitors to its many fascinating night markets and other nocturnal haunts can well attest. It also offers visitors and residents alike a clean, modern and efficient municipal transportation system. Average late June temperatures in Seoul range from daytime highs in the low 80s F (∼27C) to evening lows in the high 60s F (∼20C), ideal for strolling about or leisurely dining in outdoor cafes and restaurants. 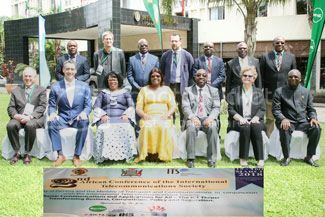 In this (March 2018) issue of Interconnect, the Message from the Chair consists of (slightly edited) excerpts from Stephen Schmidt’s opening and closing remarks delivered to the 2nd African Regional ITS Conference held in Lusaka, Zambia (March 15-16, 2018). mobile banking, e-health, education, and competition in mobile telephony — resonate not only within Zambia, but in Africa more generally and, indeed, around the world. We share a common bond of concerns about educating our children; caring for the sick and the elderly; and ensuring opportunity for our citizens. We share a common recognition that the character and quality of regulation (and government policy) can advance – or undermine – our aspirations for our citizens and for the economy. In a digital age, in a very real sense, network policy is economic and social policy. They are inseparable. And that is what brings us together here today. ITS is an independent, non-aligned and not-for-profit organization with a worldwide network of about 300 members. ITS provides a forum where academic, private sector, and government communities can meet to identify pressing new problems and issues, share research results, and form new relationships and approaches to address outstanding issues. It is a forum for convening dialogue between academic, government and private sector communities – principally through conferences and workshops. In its 32 years of history, ITS has convened more than 70 conferences and workshops, in dozens of countries, and across 6 continents. But this is only the second time we find ourselves in Africa. So this represents both a great honour and an enormous opportunity for ITS and the communities we serve. Being here, together, in Lusaka (with participants from 4 continents and a dozen countries) gives very full and vital expression to our goal of convening global conversations between academia, the private sector, and government communities, on issues of pressing importance. For example, it is hard to think of another ITS Conference where the government has displayed such a vivid and public commitment to policy dialogue (evidenced by its support of this Conference and by its decision to send its most senior members to speak to delegates). This underscores the government’s recognition of the crucial role that telecommunications plays in meeting the nation’s aspirations. It is likewise hard to think of another ITS Conference where the involvement of the private sector was so strong and vivid (witnessed, in particular, by the range of senior executives that has agreed to attend and speak on panels). The presence of industry here is very important. The challenges facing Zambia and her neighbours are significant — technological developments are far outpacing policy and legal frameworks — and industry needs to dialogue constructively with both academia and government if they are to forge better legal frameworks for tomorrow. These conversations, in turn, are integrated into policy papers by scholars from around world. The academic papers being presented here are very important because they represent critical reflections on what is working – and not working – in contemporary communications policy along with suggestions for a path forward. Any conversation that you can have, as a private sector person, that has the effect of deepening government or academic understanding of the industry is a good one. It has an ROI. It is very practical. In a very real sense, the scholars here join together these two pillars of government and industry through critical reflection. And, in a virtuous circle, the presence of industry and government here today helps deepen and strengthen scholarship — which otherwise occurs in a vacuum. I have saved the most important task for last, namely the thank you’s. We are very grateful to Dr. Simon Tembo, of the University of Zambia, for his vision and persistence as Chair of the Conference Organizing Committee. We likewise acknowledge the crucial and energetic contributions of Dr. Anders Henten, of Aalborg University, Denmark, as Chair of the Program Committee. Nothing good happens by accident and this Conference would not have happened without their courage and energy. The same applies to the Conference Secretariat, including Ms. Annie Malambo and her colleagues,who provided very organized and gracious logistics to support the Conference. We extend our sincere thanks to the University of Zambia, the government of Zambia and our private Conference sponsors. Simply put, it would not have been possible to have this Conference without the generous resource commitments of these organizations. We also extend our deep thanks to the many other individuals (organizers, the panel and paper presenters, participants) that have helped make this Conference a success. In the final analysis, there is no ITS without papers, presenters, and participants. This is your Conference. You make it a reality. The organizers and hosts provide a crucial framework – but you provide the content. Thank you. My last word of thanks goes to the students who have made a decision to come here and present their research. For some of you, this might be your first time sharing your research at a conference. For others, it might be the first time you have presented a paper outside of your home country. In all cases, we want ITS to be a welcoming and positive environment for scholars starting their professional and personal journeys. We are delighted that you have chosen to be here. In a very real sense, you are the future of ITS. It is also my sincere hope that this dialogue continues after we leave this room; after we leave this Conference. If we leave this room and do not speak again, across the divides of academia, industry, government and across the divides of geography – we will have failed to live up to the promise. After two and half days together, what is most striking to me is the way Zambians are responding to the challenges facing Zambia. You are doing so with boundless enthusiasm, goodwill towards your country and thoughtful creativity. This is true of government officials, business leaders and scholars. You clearly recognize that you live in fortunate times because of the transformative possibilities of ICT – even if you face unfortunate problems. What is particularly amazing to me is that you are not overwhelmed by the challenges that you are facing – on the contrary, you are clearly energized by them. You are not praying for smaller problems; you are praying for greater skills. These challenges are calling forth the best measure of your energies, skills and efforts. This is equally true of government, industry and academia. Scholarship occupies a special place in all of this because it is a reflective mirror revealing present challenges and opportunities and the potential of better paths forward. Action must be informed by reflection. Scholarship offers that possibility to government and industry if they are willing to accept the invitation. And government and industry can in turn enhance and strengthen scholarship, through dialogue and lived experience. I would like to thank all of you. Thank you for your friendship; thank you for your ideas and energy; thank you for your support. You have all contributed to making this Conference a success. Aswan, Egypt will host the 2nd Europe-Middle East and North African (MENA) Regional ITS Conference February 18-21, 2019. The National Telecom Regulatory Authority of Egypt (NTRA) and the Arab Academy for Science, Technology & Maritime Transport (AASTMT) will co-host the Conference. The Conference theme is Leveraging Technologies to Accelerate Growth. Organizers anticipate that the Call for Papers (CFP) will be issued towards the end of May 2018. The CFP will be disseminated via the ITS-L Listserv distribution list and will also be posted on the ITS website at www.itsworld.org. Two Best Paper Awards will be granted: one for best paper submitted by a student – “Best Student Paper Award”, and the other for best paper submitted by a post-graduate – “Best Paper Award”. Each award will be valued at U.S. $1,000. All Conference sessions will take place at the premises of the AASTMT. Shuttle buses will be provided to transport all Conference attendees to and from the Conference venue each day. The Egyptian government will provide full security measures for participants at all Conference sessions as well as at all social events organized for Conference attendees. 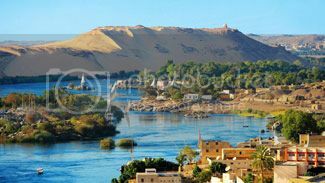 While Aswan is one of the hottest, sunniest and driest cities in the world, its average temperature in February is a very mild 63.5 °F, with daytime highs just reaching the mid to high 70s F. Aswan experiences zero precipitation in February. 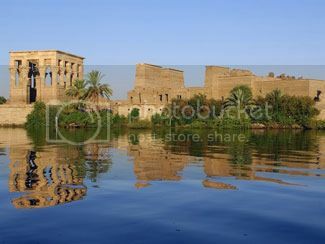 Aswan is an ancient Egyptian city with a very storied history. 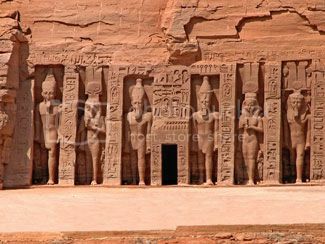 The stone quarries from which granite was mined to build the pyramids, temples, obelisks, monuments and other magnificent structures of the golden age of the Pharaohs were located at Aswan. Its location just below the first cataract of the Nile, from which it was possible to easily sail north — without natural barriers or obstructions — to the Nile delta over 1000 kms away ensured its importance as a military garrison and a major trading outpost for thousands of years. No trip to Aswan would be complete without visiting at least some of the spectacular historical sites surviving from ancient times including the Qubbet el-Hawa, the Abu Simbel Temples, the Philae Temple, Agilkia Island, Elephantine Island, the Tombs of the Nobles, the Temple of Khnum, Sehel Island, Trajan’s Kiosk, and scores of other archeological treasures from ancient times, not to mention several “newer” additions to the storehouse of architectural and archeological wonders that constitute modern Egypt (including the Monastery of Saint Simeon, the Mausoleum of Aga Khan, the El-Tabia Mosque, the Nubian Museum, the Cathedral of the Archangel Michael and the Aswan Museum). Please add February 18-21, 2019 to your Conference calendar. ITS currently has 22 corporate members, 11 of which are Global Corporate members. Included in the latter group are AT&T (USA), Deutsche Telekom (Germany), KDDI Research Institute, Inc., (Japan), Orange (France), Huawei Technologies (P.R. 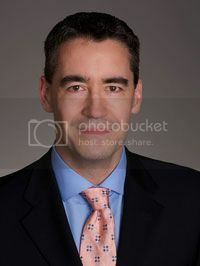 China), NERA (USA), the National Broadcasting and Telecommunications Commission (Thailand), TELUS (Canada) and TIM Brasil. and corporate memberships in ITS have grown significantly over the past decade. At the moment, ITS has some 300 fully-paid individual members from over 40 different countries, including Canada, the U.S., Australia, New Zealand, Brazil, Mexico, a number of countries in Asia, Africa and the Caribbean, and most countries in Europe. ITS also interacts with over 1300 ICT professionals on a weekly, if not more frequent basis, through regular communications over the ITS-L Listserv. In addition, more detailed information is exchanged regularly with this diverse, technically skilled and highly educated audience through the online publication of Interconnect, as well as through the ITS web site at www.itsworld.org.